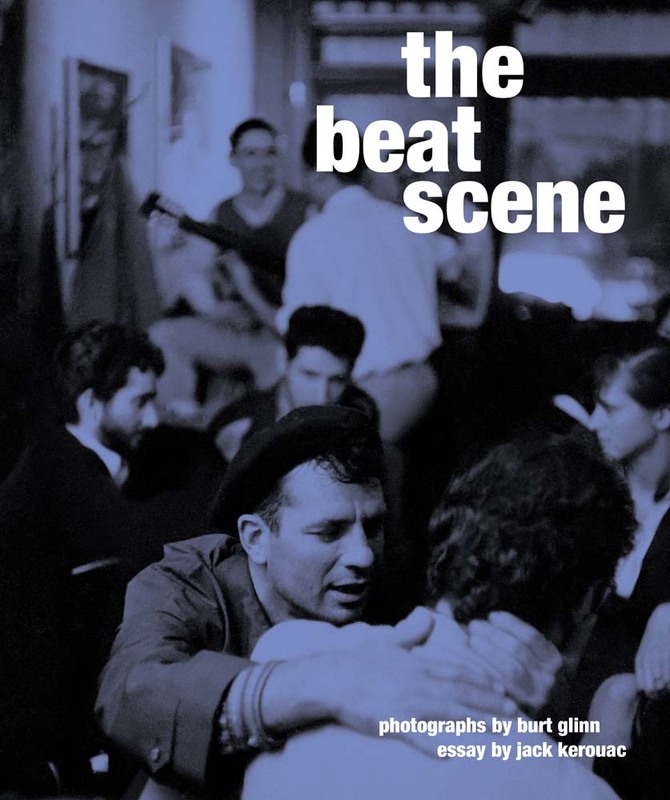 A remarkable time machine of going back to the late 1950s to observe 'The Beat Scene' as it happened. Burt Glinn was a classic photojournalist of the classic Life/Look/Esquire years. Reel Art Press (RAP) not long ago put out a book of images by Glinn of the first day Castro obtained power in Cuba. The images were raw but beautifully framed by Glinn's eye and his skill as a cameraman. There are many images of the Beats in New York and San Francisco, but the big difference from someone like Charles Brittin and Glinn is that Brittin was an intimate friend of his subject matters. I feel Glinn was there as an assignment, and then moved on to another exciting location after the job was done. Therefore these images of this generation were put in storage for over 50 years. Which actually gives an interesting texture or layer in his observations of the Beats. He wrote the captions as well as these photographs, and it is geared toward the reader or viewer who knows nothing of this world but heard about it through the mainstream media. And Glinn represented the mainstream world looking into the bohemian world. Most images I have seen of The Beats either came from my father (Wallace Berman), Charles Brittin or Fred W. McDarrah in New York City. The poet Allen Ginsberg is another great photographer who documented his social/work world as well. But Glinn's work has a journalistic distance from his subject matter, and one can easily imagine these images being in LIFE Magazine in the late 1950s. The Beats generally don't have a high trust in the mainstream media world for many good reasons. Exploitation is the most obvious reason, but Glinn also captures the inner glamor of such young people doing fun things. Who doesn't want to go to a painter's party, or to a bar to hear poetry/jazz, and drink red wine? Glinn's work is there to document a moment for the mainstream masses, which doesn't mean the photographs are not accurate, but still, there is a Hollywood cinematic touch to the color which makes the images very contemporary. Glinn was a fantastic photographer, but in a very classical sense of picture and subject together. There is no doubt that everyone in the Beat movement was extraordinarily handsome or beautiful. Even it's children, such as page 142, is at the very least, cute. Jack Kerouac's intro text is fantastic regarding an average night out in Beat-dom. For those who even have the slightest interest in the counter-culture or the Beats should look at this book page-by-page. An important document.